It seems that every time we need a document the most, we can’t find it. That 20 page tax paper, the tickets to tonight’s football game,… Chances are you’ve accidentally deleted those and then emptied the recycle bin without going through its content first. 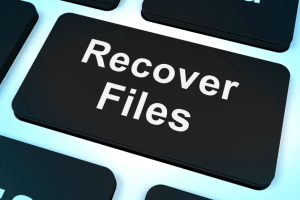 Luckily, on your PC or Mac, there is a chance of recovering those deleted files but you’ll have to but some effort into it. When you delete a file, your hard drive marks that partition of the disk as empty, but the actual file stays there until it is overwritten by a new file. This allows you, with the help of some software to recover that specific file in most cases. Digitaltrends put together a very comprehensive and easy to follow guide on how to recover those precious files in a step by step tutorial. Have you ever deleted a file by accident which was very important or do you have experience with bringing back files from the dead. Share your thoughts with us in the comments below!